Homeroad primped a chicken feeder she found, adding some jars and greenery. 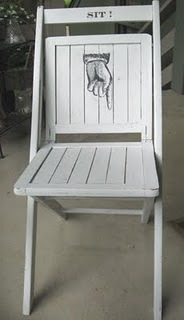 Moonbeams and Fireflies updated this really cool chair using a little paint. 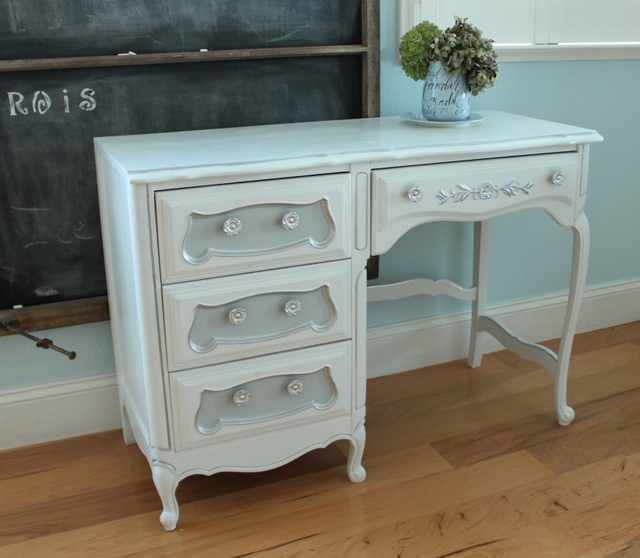 European Paint Finishes created this beautiful buffet with glass knobs. Craftberry Bush made this cute shabby bench out of a wood pallet. Redoux (primp)ed this pretty french desk. Grab my button so others can join the party! Ohmygosh, that Frenchy buffet is fabulous!!! just linked up, thanks so much for the party! Thanks for featuring my chair, Michele! What an honor. Thanks for hosting. Whoo whoo!! 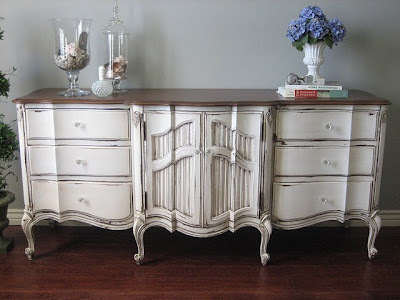 I finally made it over to link up to your party in time! (okay, there is only an hour before the list closes.... so I am WEE bit late! ;) Thanks for hosting! Aye...well, I tried to link up 2x and they aren't showing up...Maybe one of them will show up in a bit. Thanks again.